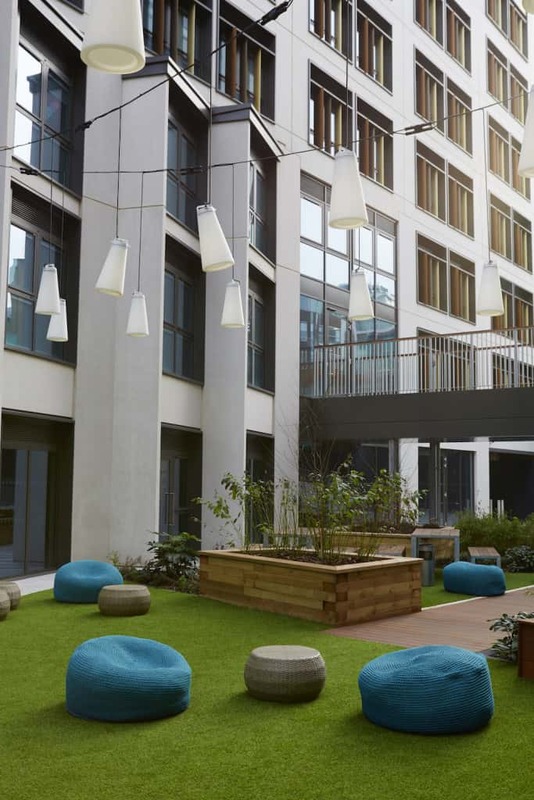 In the urban garden of the Paul Street East contemporary student living apartments, our Verandah Collection outdoor poufs have been placed in a pretty cushy spot indeed. 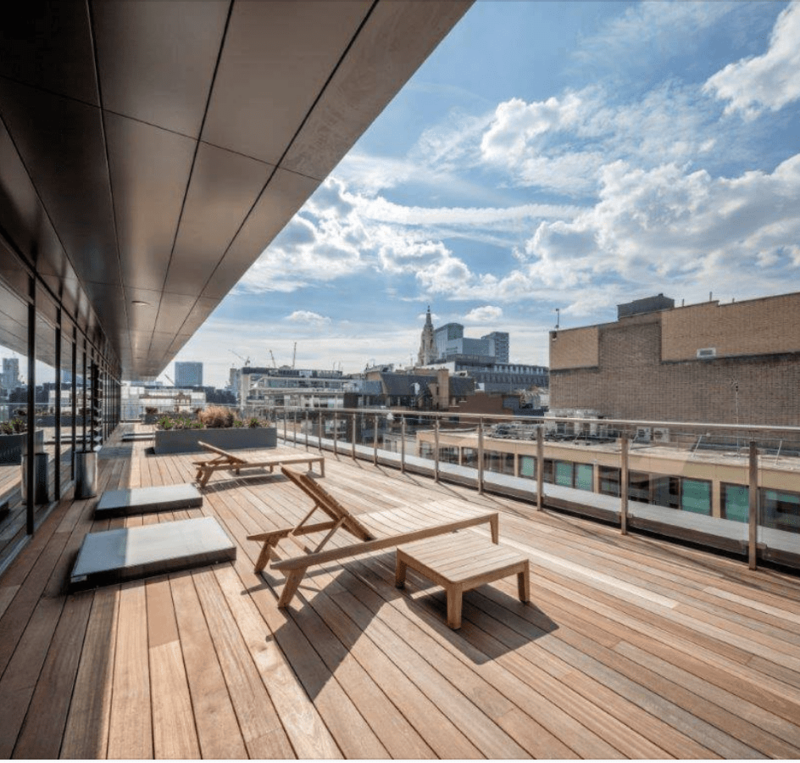 The perfect urban home away from home, centrally located within the capital’s trendy Shoreditch district this student living is by far the best in London. 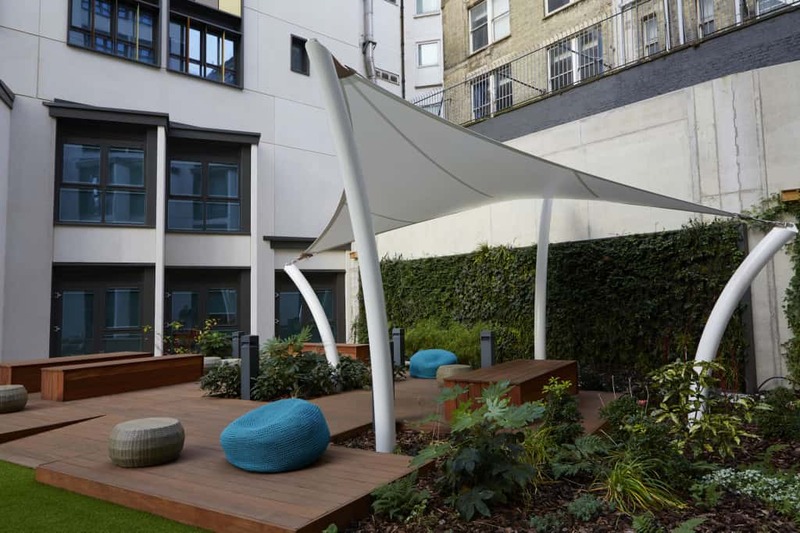 Paul St. East is a new kind of student accommodation in the heart of London’s exciting East End. Featuring two floors of inspirational social, study and networking spaces, an urban garden and 24/7 fitness facilities. Accommodation ranges from single suites to penthouse apartments. Oh yes, how we’d love to be a student living in London.